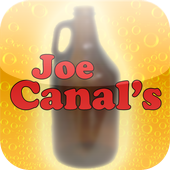 Joe Canal’s Route 45 in West Deptford, NJ Has an 8 tap Growler station available to its customers. The app allows you to access what beers are currently on tap and get some information about what beers are on deck, event listings for the store, directions to the store and information on some new brews. 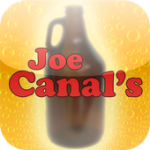 The app will be debuting at the 4th Annual Craft Beer Tasting happening Friday, September 23, 2011 at Toscana’s Restaurant, Mullica Hill, NJ 08062 Tickets are $40 in Advance or $45 at the door. Sample a wide variety of specialty imported and craft beers as well as some other super rare surprises! Here is the link to the official apple app store site. Here is the link for the DROID app. Enjoy!